Our skin is very delicate and it is the first level of defense that our body comes in contact with. Can you imagine the amount of stress it is put through everyday when it’s exposed to so many pollutants in the air? Blemishes, eruptions, patches and sallow skin are often related to inappropriate skin care, inadequate healthy lifestyles, diet, lack of exercise and exposure to environmental pollutants. A healthy diet can help in better digestion and hence,help incleansing the system. Exercising helps in sweating and hence, removes toxins from the body. Any kind of skin problem is said to be aggravated due to stress, pollution, chemicals etc. Eat half a cup of Aloe Vera pulp (Do not eat if you are pregnant) or apply externally to the skin twice a day.Make sure you test if you’re allergic to aloe Vera before you apply it. Before going to bed, apply a paste of 1 Tsp. coriander juice mixed with a pinch of turmeric powder. Wash off with warm water. Make a fine paste of cumin seeds and apply it on the skin. Leave it for 1 hour and wash off. Make a paste of fresh fenugreek leaves, apply it on your skin and wash off with warm water before going to bed. Make a paste from basil (tulsi) leaves and water and apply on the affected skin. 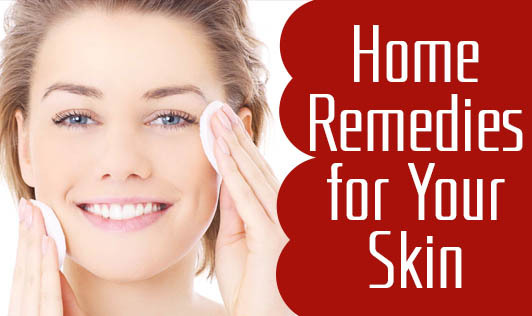 Massage the face with ghee, almond oil or coconut oil before going to bed and wash off.